Ill travellers returning from the resorts of Los Gigantes or Puerto de la Cruz in Tenerife are able to claim compensation from their tour company pursuant to the 1992 Package Travel Regulations. The Regulations enable travellers who have been subject to illness and food poisoning claim compensation for the hygiene failings of hotels abroad from their UK tour operator. If you booked accommodation and transport (flights, cruise etc.) with a travel company, such as Thomas Cook, Virgin, Cosmos, First Choice etc. and blame food poisoning or unhygienic practices at your hotel call one of our holiday lawyers today on 0808 145 1353. Suffered Salmonella or E. coli Food Poisoning in Tenerife? Illness Outbreak due to Contaminated Swimming Pool Water! Illness in Tenerife – Claim Compensation for your Holiday from Hell! If you were ill in Los Gigantes or Puerto de la Cruz, Tenerife, as a consequence contaminated water or food poisoning you can make a personal injury claim against your tour company in the UK. Los Gigantes – Salmonella Food Poisoning Claims? The resort of Los Gigantes is dominated by the spectacular views of its black cliffs, which dramatically plunge into the ocean. The resort offers a large number of bars and restaurants with spectacular views for those relaxing on holiday – it is the most stunning area of natural beauty in Tenerife. Missed the view due to food poisoning? Was your holiday marred by Salmonella, E. Coli or Campylobacter Food Poisoning in Los Gigantes? Viral Infections Fact: Tour operators often use the word 'virus' as an excuse to avoid liability, but, if you are treated with antibiotics, which relieve your symptoms, then it is more likely that you have suffering from a bacterial infection, such as Giardia Lamblia, Campylobacter or Salmonella Food Poisoning - antibiotics are ineffective against viral infections. Puerto de la Cruz – Tenerife Illness Claims! The Canary Island's first tourist centre has offered travellers relaxation going back to the nineteenth century. Puerto de la Cruz has 3 black sandy beaches and an eight-acre saltwater lido with water fountains. It is close to the attraction of Loro Parque – see parrots and penguins in one location. Simpson Millar’s travel lawyer encourage holidaymakers to choose their hotel wisely. Will food poisoning or a holiday illness bug strike at a hotel in Puerto de la Cruz? Food Poisoning Fact: At the site of the inflammation, the body starts to create antibodies, which have the ability to attack invasion from Salmonella, E. coli, or Campylobacter. Holiday companies such as Thomas Cook – Jet2Holidays - First Choice and Virgin Holidays often attempt to avoid liability for food poisoning by suggesting that there were numerous potential sources and/or there is nothing to prove that the illness was caused by contaminated food or water at the hotel. 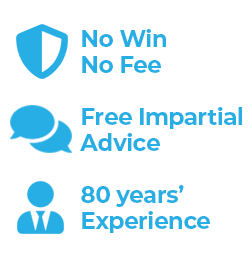 Why not prevent a tour operator’s legal team from taking advantage of your lack of knowledge and instruct Simpson Millar solicitors to claim compensation for you on a 'No Win No Fee' Basis?